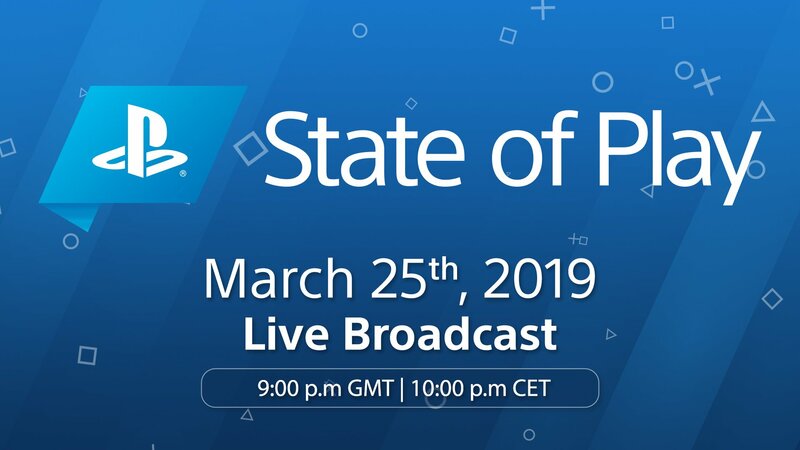 Get ready for Sony's PlayStation-centric State of Play broadcast and check out the livestream here while we bring you all the hottest news while the action is going on. Sony is taking the Nintendo Direct approach to bringing news to its fans, with today's PlayStation State of Play stream. State of Play is PlayStation's new video showcase, with its first episode premiering today, March 25. Shacknews will be bringing you all the news that's fit to print related to the showcase, but you can make sure you park it right here to catch the stream as it happens so you don't have to miss a single moment. The first episode of State of Play will include titles on previously-revealed games well as offer a series of new announcements. The first episode, which was ran down via the official PlayStation Blog, will focus on new PlayStation 4 and PlayStation VR games, so there are a s series of new games, trailers, and gameplay footage about to hit. Better get ready! This is going to be an important showcase for PlayStation, especially as the company is skipping E3 2019 and opted out of the 2018 PlayStation Experience. It's the first time PlayStation has chosen not to have some sort of presence at an E3 expo in the history of the event. "We have a lot of progress that we're making in our games," Sony Interactive Entertainment Chairman Shawn Layden said when speaking on the team not hosting PSX 2018. "Now that we have Spider-Man out the door, we're looking down into 2019 to games like Dreams and Days Gone. But we wouldn't have enough to bring people all together in some location in North America to have that event." So it looks like we can expect some pretty big reveals and first looks at some new games when the event gets underway. You can check out the event via Sony's official channels on Twitch, YouTube, Twitter, and Facebook, but don't forget to tune into State of Play today right here at Shacknews at 2:00 PM PT/5:00 PM ET and see what's next for PlayStation.